Back in January I wrote a short piece about my experiences at CES 2005 here in Las Vegas. One of the topics I covered in that piece was about Antec’s 2005 cases, and how I thought the P-180 would end up being the “Case Of The Year”. 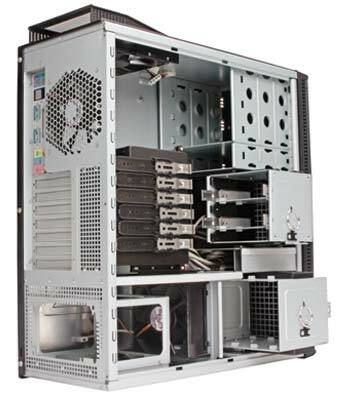 Today we finish up our in depth look at Antec’s 2005 enclosure line with a look at that very same P180 Super Mid-Tower. Has our impression of this case changed in the six months that have passed? After looking at Antec’s 1050B and 640B server cases, as well as their new Sonata II, I was eagerly anticipating the arrival of the P180. 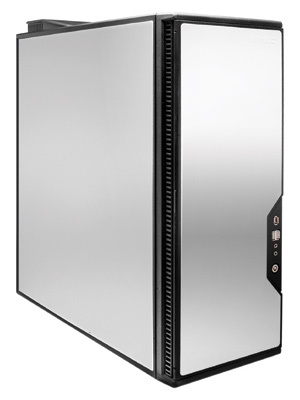 As much as I enjoyed the previous three cases (I still use all three), the P180 is Antec’s new flagship case. Antec has high hopes that the P180 will vault them to the very pinnacle of the enclosure market. Before we get too far along, let’s look at the specs and some key features to keep in mind as we take a long look at Antec’s P180 Super Mid-Tower enclosure. Material: 0.8mm cold rolled steel for durability through the majority of chassis, 1.0mm cold rolled steel around the 4x HDD area.